In the last few months, Instagram has rolled out new features like live video, stories and direct video messaging. In just a couple of months since launch, over 200 million Instagrammers have started using the stories feature. So, learning to use videos is more important than ever. The stories feature was launched in 2016, and it allows users to share as many videos as they want with their followers. These are then available in the icon at the top of user’s feeds and remain for 24 hours at which point they are deleted. Videos were first introduced in 2013 and make up a significant part of this platform. Initially, each video was capped at 15-seconds, but this has since been increased to 60 seconds. This innovation really took off in 2016. The average watching times of videos have also increased by over 40 percent since September 2015. And the video capabilities of Instagram are only continuing to expand. So, what can you do to include Instagram videos in your own marketing plans? If you’re wondering how to get more views on Instagram, keep reading to find out. When you’re trying to understand what kinds of videos get the most attention, the popular tab is the best place to start. It is usually filled with photos and videos what are attractive with vibrant colors, unique perspectives, and sharp contrasts. Try to include some of these aspects in your own content and make it as aesthetically pleasing as possible. Random, low-quality videos are not going to cut it if you really want to stand out. When you come across a video that is extremely popular and gets thousands of shares and likes, try to understand what people liked so much about it. As you do this, specific patterns will begin to emerge over time. Like many other social media platforms. Instagram is heavily reliant on the use of hashtags. Your video views are directly affected by the hashtags you attach to them. Some really good hashtags can even drive users to watch the video on their own. Thanks to the search feature, the right hashtags can help you reach out to new members of your potential audience and thereby expand your reach. 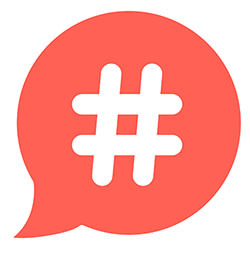 Hashtags can also be used to track trending topics, so brands can jump in and make relevant videos. These topics can point you in the right direction if you’re in a creative slump. Doing this can bring a significant amount of visibility very quickly since these topics get tons of searches. This doesn’t mean that you should only be creating videos around trending topics. But using this method once in a while can lead to an increase in video views quite quickly. With the new algorithm developed by Instagram, the way users view posts has changed. However, making sure your videos go up at the right times can make a massive difference to your views. When it comes to video content, you get the most engagement as soon as it is posted. The first step towards drastically increasing your video views is learning the peak activity times of your audience. Once users start engaging with your content, Instagram will automatically boost your video to the top of user’s feeds. This will bring you more views naturally. It is important to note that the peak posting times will vary based on the audience you’re trying to target, and this differs from brand to brand. So, it is best to track the habits of your audience and schedule your posts accordingly. Instagram is primarily a visual platform, and the image and videos are the central focus. Most users are only paying attention to these when scrolling through their feeds. However, a common mistake that many brands make is not making use of the descriptions to draw people in. The description can actually pique the interest of the viewer and convince them to watch the video, instead of scrolling to the next one. In order to use your description to increase video views, you will need to optimize it. There are a few ways to go about using this. The first aspect is to pay attention to the length. Your description should have enough information to hold interest. But at the same time, if it is too long and contains too many details, your users may not feel the need to watch the video. Keep in mind that a video provides more context than a still image. However, there is no specific correct length when it comes to descriptions. Your best bet is to use trial and error to find what works for your audience. This not an organic way to get more Instagram views and it does cost money. But paid ads are a guaranteed way to get more Instagram video views. If there is a specific video on which you’d like to get views, you could try a “video views” campaign. Instagram ads have a fantastic targeting system that similar the one used by Facebook. So, you can even make sure that the views you’re getting are from the users you are trying to target. Ever since their release, Instagram ads have been outstandingly effective. LG, the technology company, recently used targeted ads to improve their reach on Instagram. The ad campaign reached about 16 million users and got more than 1.7 million engagements. While these kinds of numbers can be quite expensive to obtain, you can still replicate these results on a smaller scale for your own brand. Recently the number of views on a video, have become visible for everyone to see. So, in order to benefit from increased engagement and social proof, you should do what you can to increase your Instagram views. Using a combination of high-quality content along with the strategies discussed above will help improve both your immediate and long-term views.